The Reluctant Storyteller: To God be the glory! Second term of grad school was so hectic! I took three subjects, two major ones and one minor. One of my major subjects, Research Methodology, is the absolute king of work. Super matrabaho siya, as in! Honestly, I was so burnt out last term especially the weeks nearing the final exams because of all the work it entailed. Enrolling in Research was actually a faith goal for me. I was so discouraged to push through with my enrollment in that subject because of the feedback I got from previous students. I remember going to church after our first meeting (when I wasn't yet officially enrolled) praying and asking God if I should enroll. I consulted with my husband when I got home, processed his insights, and prayed some more. After a few days, I feel the Lord telling me to enroll and not to worry because He will sustain me. I still had doubts when I handed in my payment to the cashier but nevertheless, I did it in faith that He would keep His promise. Oh gosh, the feedback I got from the other students were true. My professor was very meticulous about EVERYTHING! Every area of my research was probed on. Most of the time, I was in the dark with how my research will take form. Begin with the end in mind -- I can't even do that because I can't visualize how my paper will end up. Halfway through doing the last chapter however, I begin to see the light at the end of the tunnel. I figured how helpful the tools my professor provided in aiding us in doing each chapter of the paper. Matrabaho magfill-out ng answer grid BUT (!!!) pag natapos mo yun, parang tapos ka na rin sa isang chapter. That is how thorough and complete the grid is. One thing that I really learned last term? PERSEVERANCE. I realized that everything I went through helped me improve as a person. Not just academically ha, as in it really shaped my character as a wife, mother, and student. I just got my grades the other day and I have to say that it really proved how surrendering everything to God will bear good fruit. This post is my way of giving all the glory back to God. Without Him, those grades would never have been possible. I gave my husband my class cards when I got home and in his happiness, he bought me Carmen's Best to celebrate our victory. OUR VICTORY - mine, his, and most especially the Lord's. 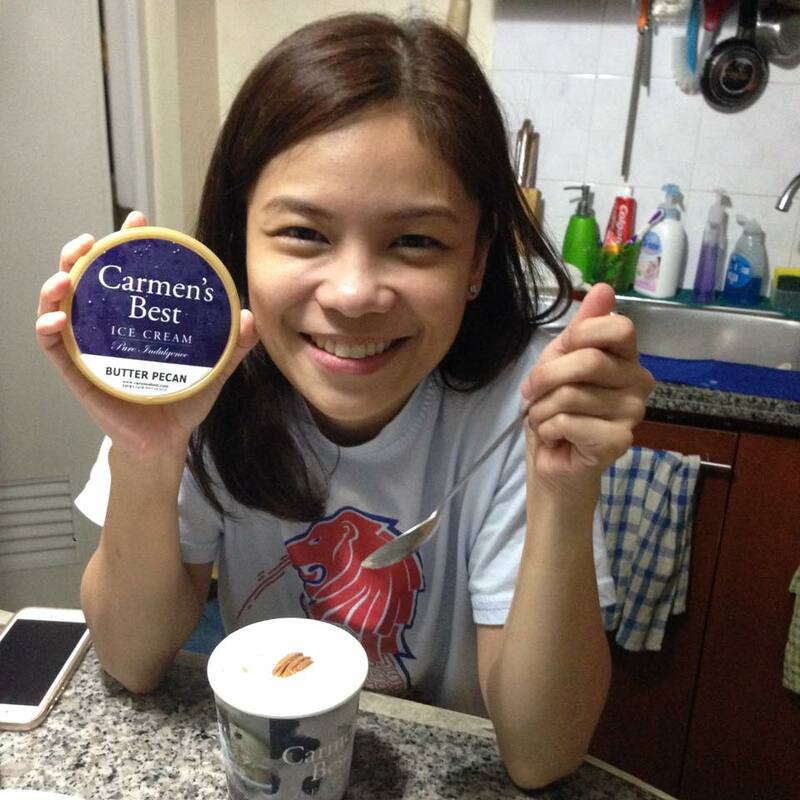 Carmen's Best - because the best feeling needs the best ice cream! Yay! Congratulations. To God be all the glory! I can feel your happiness and relief while reading this blog post. Feel na feel ko rin tuloy humanap ng Carmen's Best mamaya. Happy for you, Jen!